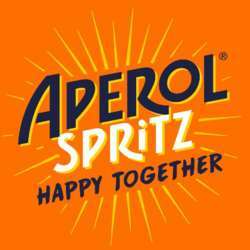 Aperol Spritz Open Bar Party (Special Night)!!! You must be a member of the Milan Disco, Dance & Karaoke Group to attend this activity. Would you like to join this group? Do you like Aperol Spritz?!?! You cannot miss this special night: from h. 20.00 to h. 22.30 Open Aperol Spritz Bar at only 15 euro each person!!!!!! Don't you like Aperol Spritz?? No problem: 10 euro 1 alternative cocktail or drink !!!! - Buffet from h. 20.00 to h. 22.00 to spend a funny time all together!!!! - Dj Set with the best music selection until late!!! Underground stop Garibaldi (Purple or green line). Limited seats, catch this incredible opportunity!